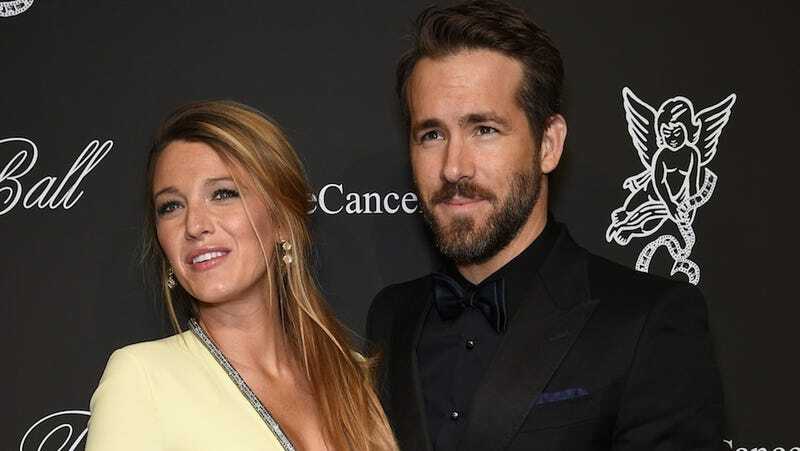 While nothing has been publicly confirmed by the couple, there's a new name floating around for Blake Lively and Ryan Reynold's offspring and no, it's not Violet, Artisan or Equestria. The new moniker attributed to the Lively-Reynolds girl is "James," as in Joyce, Potter or Franco. We're hearing that Blake and Ryan named their baby...James! So that would probably mean James [insert middle name here] Lively Reynolds, or perhaps just Reynolds. Verdict? And if that sounds like a boy's name, remember—her mom is named Blake. Jaime King used to go by James, not to mention Ryan is an increasingly popular girls' name. So really, most names are equal opportunity appellations these days—anything goes!